Today we’re thrilled to finally announce the launch of Twitter Scheduling for Sked Social! As we grow, adapt and develop our tools to meet every one of your social media scheduling needs – here’s another for your repertoire. 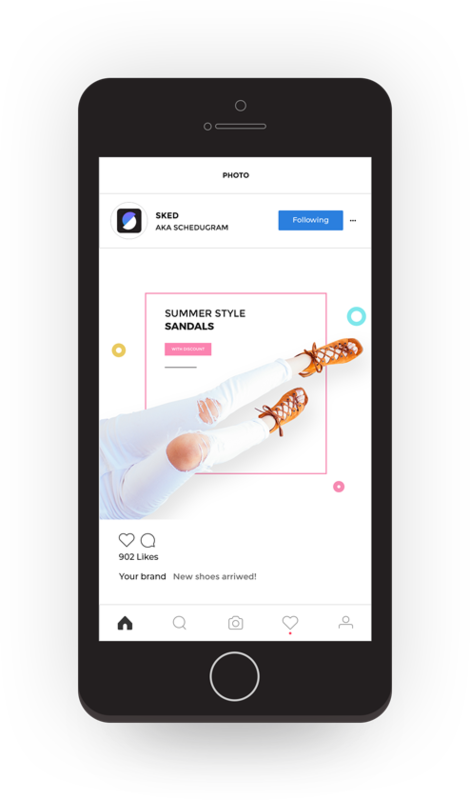 Not only can you schedule Instagram Posts, Instagram Stories and Facebook content from Sked Social. But now Twitter updates can also be uploaded in advance with Sked’s scheduler. Want to join the Sked Social club? Start a free 7-day trial today and experience the power of our scheduling platform for yourself. Here’s exactly how to schedule your next Twitter post with Sked Social. Firstly, make sure you’re logged into the correct Twitter account. Next, log into Sked Social and select ‘Manage Accounts’ from the sidebar. Within Sked Social’s Accounts Manager, you’re able to easily add Instagram, Facebook and now Twitter accounts. This makes for simple integration with Sked Social across a range of social media sites. 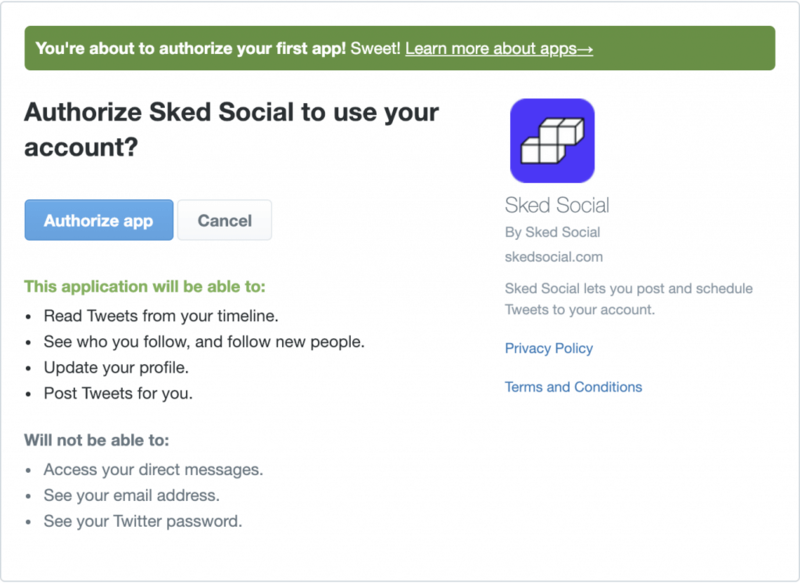 Sked Social will automatically direct you to an authorisation page. Here you simply need to click ‘Authorize app’ to finalise account setup. 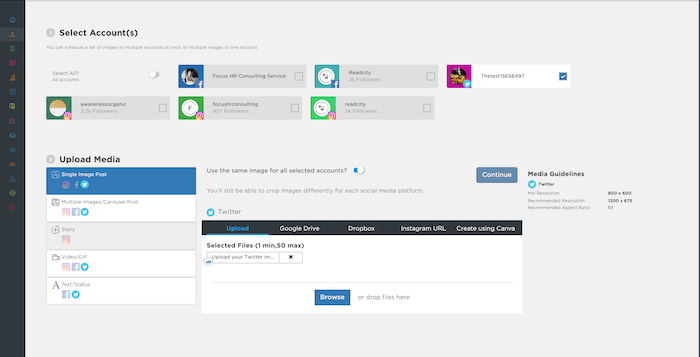 From the toolbar, select ‘Upload posts.’ Next, select your Twitter account and any other Instagram or Facebook accounts you’d like to upload posts for. Twitter scheduling works much the same as scheduling any other type of post. Browse files from your computer, Google Drive, Dropbox or an Instagram URL. 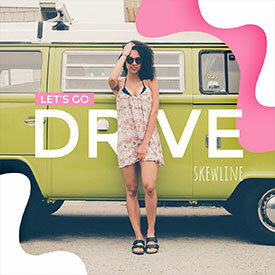 Alternatively, create new content using Canva or drag and drop content to the upload box. Once you’ve selected your media file, click ‘Continue’ before moving to step 5. Scheduling Twitter posts require you to choose a date and time for publishing. Sked Social’s easy to use calendar makes it simple to choose your scheduling details. To review your upcoming scheduled Twitter posts, simply navigate to the ‘Calendar’ overview from Sked Social’s side toolbar. 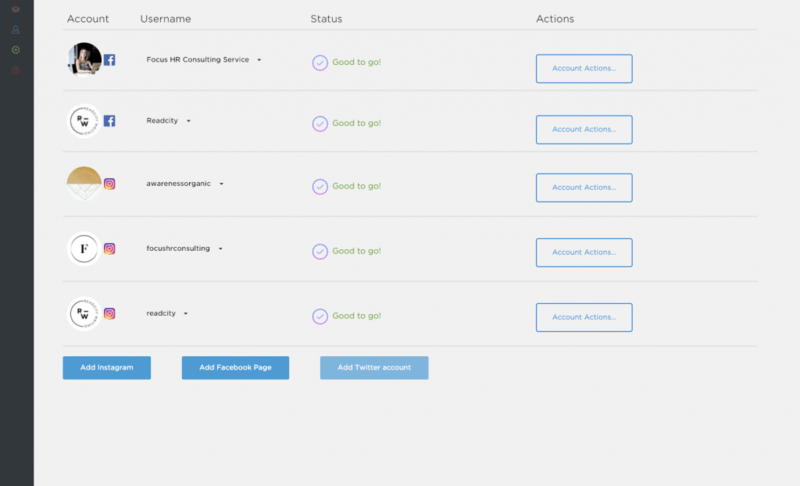 With Sked Social, you’re now able to view all of your scheduled posts on one dashboard. This includes Instagram, Facebook and now Twitter content. Do you require final approval from clients ahead of time? Not a problem! Export your schedule to a PDF document. Then email this directly to clients or managers for the final tick of approval. 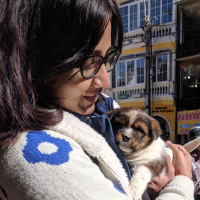 Have you ever felt frustrated by uploading limitations of social media schedulers? Sked Social is your answer. Our social media scheduler accommodates all your uploading needs. We’ve integrated multiple upload source options for your convenience. This means no more downloading images to upload to a scheduling tool. 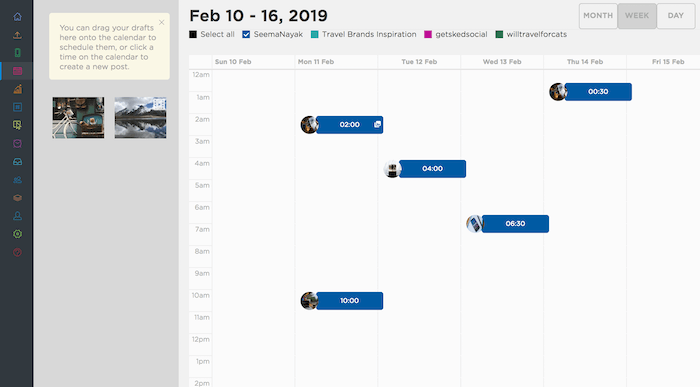 Simply use Sked Social as your Instagram-first scheduler that also supports Facebook and Twitter. Sked’s simple to use uploading interface means you can automatically add captions across multiple accounts. The ‘common caption’ feature automatically transfers captions across to each account. Twitter Scheduling Today. What’s Next? After the recent announcement of Facebook scheduling and now Twitter scheduling – we want to know what else we can do for you. Your social media scheduling experience is our top priority. We’ll continue to find new ways to enhance Sked Social’s capabilities to suit your needs. Let us know how we can give you what you need by contacting us on [email protected]. Yet to sign up for Sked Social? Schedule all your content from one platform with our 7-day free trial today!